Submissions for the West Gate Tunnel Project Environmental Effects Statement are due at 5pm on the 10th July. The (very long) documents can be viewed here. The EES is a comprehensive assessment of the projects environmental risks, both during construction and its operation when completed. Written submissions, responding to the EES, are key to minimising the potential negative impacts that this toll road could have on our community. This is one of the last chances for the public to have a say and to voice concerns. All submissions must state the name and address of the person making the submission. Anonymous submissions will not be considered. Submissions will be treated as public documents and will be made available following the exhibition period. We strongly encourage as many people as possible to make individual submissions. You can lodge an online submission here. It can be as long or as short as you like. To help you we have put together a list of suggestions. You don’t have to cover every issue, you can just choose whichever points apply to you and address your concerns. This list is not exhaustive, of course add any other concerns that you have about the project. We will be adding more to this list over the next few days as we continue to prepare our submission. 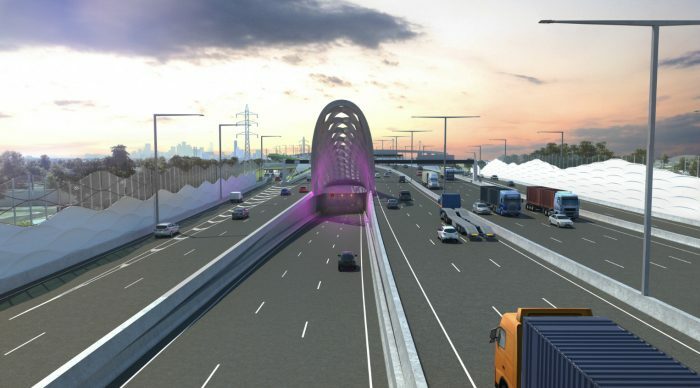 This project doesn’t solve the City of Maribyrnong’s amenity, noise, air pollution and health problems without truck bans on Williamstown Road and filtration in the tunnel. We have always been very clear that MTAG’s support is contingent on both truck bans and filtration. The proposed full time truck curfews on Francis St, Somerville Rd, Buckley St and Moore St will no doubt result in a significant decrease in truck volumes: an 84–94% reduction on Francis St, 84–91% reduction on Somerville Rd, 77% reduction on Buckley St and 87% reduction on Moore St. This is very welcome and much needed in this built up residential area. But there are no curfews or bans proposed for Williamstown Rd, which runs right through Yarraville, Kingsville and Seddon. Williamstown Rd will be the City of Maribyrnong’s new Francis St, with truck numbers expected to roughly double. At the moment the section with the most trucks is between Francis St and the West Gate Freeway. But once the project opens high truck numbers will be travelling the length of Williamstown Road, from the freeway to Geelong Rd and vice versa. Now, in 2016, there are roughly 2000 trucks a day between Geelong Road and Somerville Road. In 2031 this will double to around 4000. An increase of trucks on Williamstown Road will affect amenity in Yarraville, Kingsville and Seddon by impacting on north-south and east-west connectivity, including travel times. The EES states that the increased traffic on Williamstown Rd could have an ongoing impact on community cohesion in the nearby residential area with the residual risk has been assessed as high. This is of particular concern with the high numbers of children crossing Williamstown Rd on foot, scooter or bicycle on their way to and from schools. The traffic increase will affect cyclists’ and pedestrians’ feeling of safety due to increased numbers of heavy vehicles and an existing sensitivity about increasing traffic in the area. The EES impact assessments have failed to recognise that planning approval has been granted to construct a child care centre on the corner of Francis st and Williamstown Rd. The impact on this highly sensitive use should have been considered as part of the assessment. The EES shows a large spike in predicted pollution levels right at this intersection. The EES claims that air quality in the City of Maribyrnong will generally meet standards, with the exception of 2031 when many streets will reach intervention levels. Communities should be future proofed against port generated diesel pollution for decades to come. Standards and exceedances don’t take into account the chemical composition and toxicity of the particulate matter or accumulated exposure over a lifetime. Diesel exhaust particulates contain some of the world’s most carcinogenic and deadliest chemicals. The project needs to take precautionary measures and an exposure reduction approach to mitigate impacts on communities in the project area. The City of Maribyrnong has been experiencing environmental injustice for decades as community health has suffered as our residential streets were turned into freight routes. The West Gate tunnel needs to deliver significant health improvements for our communities, just keeping the status quo in regard to health impacts is not good enough. The West Gate Tunnel project needs to protect human health by minimising impacts on community facilities for children who are most at risk from the impacts of diesel exhaust. We need bans to keep all container trucks off all residential streets, not just some of them. The project also needs to implement measures to protect children from harmful air pollution by installing air filters and other protection measures in affected childcare, kindergartens and schools. The Californian education department recommends buffers of 457 metres to any new child facility from major roads. The EES makes no mention of ultrafine particles – PM1’s and smaller. These are the particles that form a large component of diesel exhaust, and cause the most harm to human health, penetrating deep into our lungs and translocating to other parts of our body via the bloodstream. The project must take a precautionary approach to future proofing surrounding communities and undertake baseline monitoring of ultrafine particles. This is especially important near the ventilation stacks and West Gate Freeway. This project must meet world best practice for monitoring and minimising the impacts of ultra fine particles to ensure the health of impacted communities is protected. This project must come with permanent air monitoring that has open and transparent public data access. The locations of these monitors should be decided through community consultation. There is a lack of clarity in the EES around ongoing monitoring and mitigation actions for when air quality standards are breached, with a clear failure to address future problems. The EES does not adequately examine solutions that would help mitigate health impacts on the community associated with the project. The tunnel contains no filtration to help protect the health of nearby residents as well as tunnel users. This means that concentrated pollution will simply be ventilated out of the tunnel. This pollution will be almost entirely made up of vehicle emissions, far more toxic than the equivalent amount of background particulate matter. Removing this ventilated particulate matter from the air shed means removing the pollution that is most harmful to human health. This is particularly important due to the tunnel being sold as a freight solution. A tunnel provides a unique opportunity to remove these particulates from the air shed that an open road doesn’t. The EES fails to show that the case for filtration has been comprehensively examined and that different international suppliers have been approached for up to date specifications and costs. The EES states that improvements in fuel quality, tailpipe filters and engine emissions standards are more effective than filtration at removing pollution. However, this is an area where Australia is severely lagging behind. Half of the trucks in our area are are pre-1995, with no exhaust emission standards. While the rest of the Western world has a truck fleet with an average age of 5 – 9 years, the Australian truck fleet has an average age of 13.7 years. With no programs, regulations or incentives in place to create change it is unreasonable to expect the community to rely on something that is unlikely to happen in the foreseeable future. Expected growth in both port activity and Melbourne’s population will undoubtedly undo any future advances in engine emissions. The City of Maribyrnong already has some of the worst health outcomes in Greater Melbourne because of the impact of diesel pollution. Kids here aged between 0-16 have the highest rates of hospital admissions for respiratory ailments in Victoria, a shocking 171% above the Australian average. Asthma rates for adolescents in the City of Maribyrnong are 50% above the state average. Seddon, Yarraville and Kingsville have an age standardised lung cancer rate of 49.4 compared to Greater Melbourne’s average of 23.3. The vent stacks on these tunnels must be filtered. Even a small percentage of improvement in air quality for the City of Maribyrnong will have huge benefits for the health of a community already struggling with poor health outcomes. Noise barriers should be continuous along the whole length of the Westgate Freeway portion of the project, inclusive of both residential and recreational land. Noise barriers should be high enough to ensure adequate noise abatement for a two storey house. Noise barriers should be supplemented with vegetation to act as further noise abatement, further pollution mitigation and improvement in visual amenity. Plant types must be chosen and planted with the specific intent of reducing pollution. Open graded asphalt OPA should be used along the length of the project including arterial roads and Westgate ramps given the better acoustic performance over dense graded asphalt. There must be ongoing monitoring and enforcement of excessive spoil movements through residential streets during construction. The community needs an outline of strategies to minimise noise impacts on the community during construction, particularly in relation to night time freight movement. Residents on Hyde St, between Francis St and the Westgate Freeway in Yarraville, will be left living in homes where by 2031 there will be an additional 1500 trucks passing metres from their front doors every day. A large proportion will be trucks carrying placarded loads and some of the most dangerous goods on our roads. It is unacceptable to leave homes in this location and they should be compulsory acquired. While MTAG’s focus is primarily on the impact of trucks within the City of Maribyrnong, MTAG does not support any solutions that push trucks onto other residential streets. By 2031 Millers Rd, north of the West Gate Freeway, will experience an additional +7000 trucks a day. This road has residential homes directly abutting it, homes that are not even separated from the traffic by a service lane. We know only too well the detrimental impact of having thousands of trucks travelling only meters from homes. Truck bans should be put in place on this section of Millers Rd, with trucks routed to the Grieve Parade interchange and this interchange upgraded to handle the increased truck volume. Truck bans with local exemptions should be in place on other residential streets such as Blackshaws Rd that are expecting an increase as a result of this project. A truck ban is needed on Hudsons Road, Spotswood, west of the railway line to prevent trucks using it as a shortcut when travelling between the Spotswood industrial area and the East via the West Gate bridge. MTAG supports the proposal to exempt these trucks from tolls on the Bolte Bridge, but measures must be in place to force them to use this route. 4 responses to "EES Submissions"
I agree with the above recommendations. For the health of residents and for the traffic. Why do we have to accept local exemptions to truck bans? These are in my opinion not worth the paper they are written on. Trucks are not ever identified as local or non-local and there is no enforcement. Not only that, residential streets are still full of trucks (just 'local' ones). We need total ban of all trucks on our streets! Footscray resident. Hi David, at the moment the local exemptions are quite generous. Eg on Francis St, petrol tankers from Hobsons Bay and Yarraville are exempt and on Moore St a huge amount of trucks travelling to and from the Tottenham area are exempt. Once the West Gate Tunnel is open, our understanding is that those local exemptions won't apply. The 'local' trucks will only be truly local - delivery trucks to the area, removalists trucks etc.